As we head into 2019, all signs continue pointing towards a more digital future in payments. A report from earlier this month found that 29 percent of Americans now make zero weekly purchases with cash, with the percentage of people who use cash for everything dropping from 24 to 18 percent since 2015. Given that my team and I oversee Visa’s global network of innovation centers and studios—now in 12 countries—we hear from hundreds, if not thousands, of clients each year about what excites and concerns them. Following is a list of five top trends that we believe will be an impetus for change in commerce over the next year. The profound growth of digital and mobile technologies over the last decade has built a foundation on which AI is now poised to flourish. AI is already doing more than consumers realize, and enterprises certainly plan to keep using more AI in the solutions they offer. For Visa, this means continuing to utilize AI for cutting-edge fraud detection, cyber defense, and network operations, but also to power advances in consumer-facing technologies like voice assistants and loyalty programs. The brands that get AI-powered commerce experiences right will focus on designing with new contexts in mind (e.g., voice-activated shopping often happens where others can hear, whereas messaging is more likely to happen in private), embracing new interaction models, and embedding convenience, security and privacy from the outset. 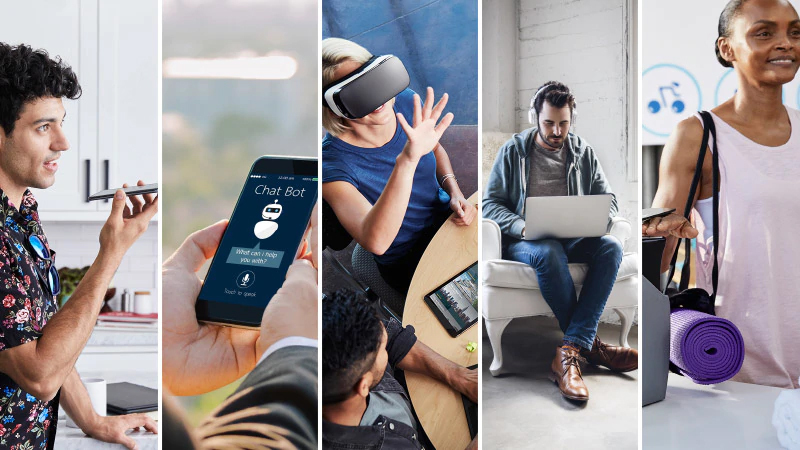 The explosion of apps allowed consumers to do-it-yourself (DIY), but now the addition of AI, chatbots and voice-based digital assistants are enabling a do-it-for-me (DIFM) approach. Facebook already offers 300,000 chatbots on its Messenger platform that are ready to be at your service. When we talk to consumers about their experiences using financial chatbots, we hear that they love the speed and personalization. They equate it to speaking with a competent customer service agent that is available via their device anytime, anyplace without needing to dial any kind of 800 number. Whether it is using your own voice or typing into a blank search bar, consumers want all of the same services and information without having to spend time digging for it. We used to measure success by the amount of time customers spent on your site or app, but now it’s about time saved—we often say “time is the new coupon”—and the frequency of return visits, as people find the answers they need more quickly. In 2019, we expect the DIY trend to continue turning to DIFM. It’s been well-documented that Millennials want finance and banking to meet their needs for frictionless experiences—fast and easy, without hiccups or hassles. And as they came into the workforce, they started to design it. It’s a new normal that is based on instantism—access to infinite choice that delivers immediate value. So much has changed in our daily lives as a result of innovations, primarily fueled by mobile, but we are just seeing the tip of the iceberg. Continued advances in AI and machine learning, coupled with changing attitudes towards things such as transparency and personalization, are creating a huge opportunity for merchants or banks to cater to more specific wants and needs. As consumers spend more time on a concentrated number of websites, banks and merchants need to find new ways to create branded experiences on the platforms where the most people spend the most time. At the same time, big tech platforms are leveraging these high engagement levels and seeking to create new commerce experiences of their own. This will undoubtedly bring about many radical new approaches as the biggest brands—whether a merchant, bank or tech company—focus on breaking through the clutter by following the consumer to where they choose to spend their time and attention. The most seamless and frictionless commerce experiences will be secured and authenticated using biometrics. Visa Chief Risk Officer Ellen Richey recently estimated that the password could be a thing of the past in as soon as five years. 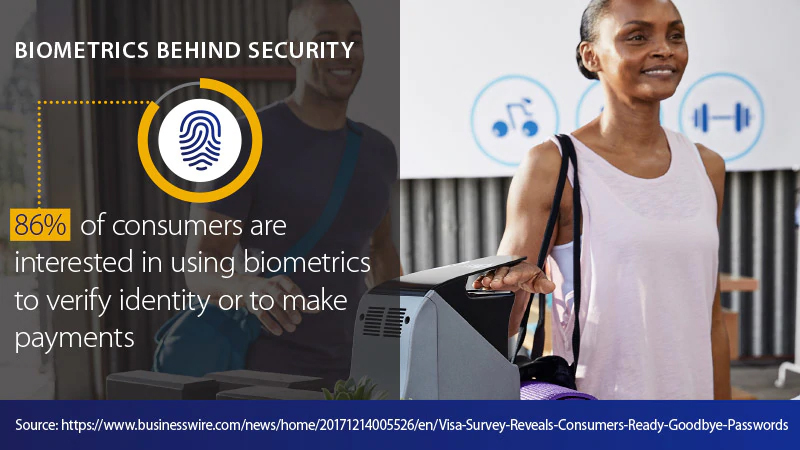 While there will never be a one-size-fits-all approach to payments security, biometrics are quickly becoming a more commonplace way for consumers to authenticate themselves for access and payments. They can be faster, easier and more secure compared to the traditional use of passwords or PINs, which are difficult to remember and easy to steal. As AI and machine learning (ML) developments continue to advance how we fight fraud on the back-end, consumers will reap the benefits of greater simplicity and seamlessness that biometrics offer on the front-end which will ultimately, help fuel the adoption of new ways to pay. These trends are now delivering better, faster and more relevant retail experiences. Far from the headlines of “retail apocalypse,” we see winning retailers using technology to enhance and deepen their customer experiences. With so much innovation and an ever-broadening ecosystem at play, we are excited to see what 2019 brings. Watch this space to see how these payment trends play out over the year ahead. Original article by Mark Jamison, SVP of Innovation & Design, Visa.